With the recognition that sectarianism is not simply a problem of men and football and that people experience sectarianism differently, Mixing The Colours addresses how intra-Christian sectarianism affects women in diverse communities, and their exclusion from previous research and societal dialogue. Frequently, women are seen in a stereotypical way as passive ‘victims’ of sectarianism, and as the casualties of domestic violence after football matches. Mixing The Colours has challenged and diversified this view of women’s role in sectarian issues in Scotland. This project places women at the forefront of the debate and the research, and explores their wider experience of community safety in their homes and streets in a context of anti-social behaviour, hate crime and gendered violence. 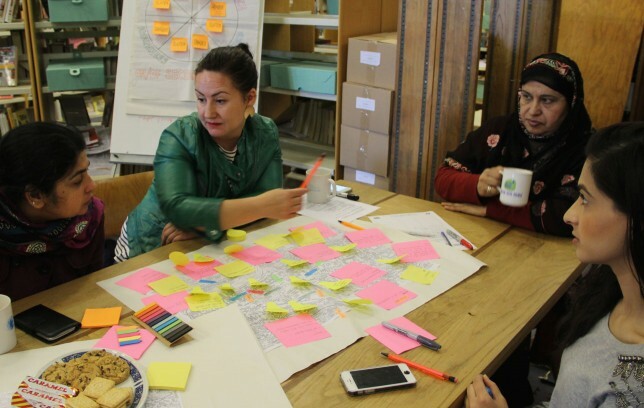 Mixing The Colours facilitated women-only creative dialogue sessions between July 2013 and March 2015 to encourage women to develop, implement and lead on effective and sustainable solutions to sectarianism. As the project moves beyond March 2015, the focus will be on sharing the perspectives and experiences of these women through the Mixing The Colours Film and the short stories and poems contained in the Mixing The Colours Publication. 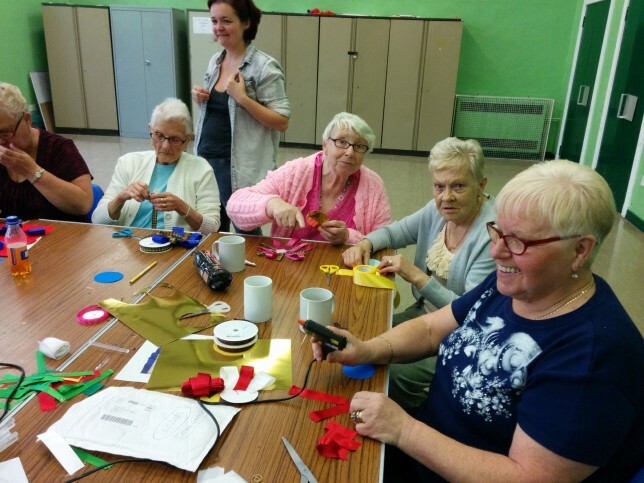 Our aim is to engage diverse groups of women on an intergenerational and intersectional level, and to listen to their experiences and build their confidence on the subject of sectarianism. We engage women in dialogue in a non-judgmental, inclusive and exploratory way. We are driven by the GWL ethos of creating accessible opportunities for diverse women to speak and be heard in a safe space using methods that empower and raise confidence. To date we have delivered 50 workshops and events with 415 participants. Our participants have produced 22 pieces of poetry and fiction, with 7 participants recorded for our film. On Friday 20th March 2015 we launched our publication, film and resource at the Mixing The Colours Conference. The Conference was a celebration of the women who have shared their experiences and creativity on the issue of sectarianism since 2013, and an introduction to the further work taking place beyond March 2015. The podcasts in the Mixing The Colours Podcasts collection offers a selection of writing and performances created by some of the women who have worked with the project in workshops and events, and have shared their work with us for the purposes of highlighting the need for the inclusion and engagement of women in dialogues around sectarianism in Scotland. This series of podcasts was launched as part of the Mixing The Colours Conference. The Mixing The Colours Film launched at our conference on Friday 20th March. The film features personal accounts, interviews and extracts of the creative writing produced by women. The Mixing The Colours Publication is an anthology of women’s writing gathered during the project, and was officially launched at our conference on 20th March 2015. Using participants’ creative output to address the noted lack of literature and film resources we are producing a film, book and a bibliographic and reference resource at Glasgow Women’s Library to increase societal and multi-agency understanding of women’s experiences. You can find more information and access to the Mixing The Colours Resource here. Read the Mixing The Colours Blog to find out more about the project as it develops. The Mixing The Colours project is made possible through funding from the Scottish Government Community Safety Unit.